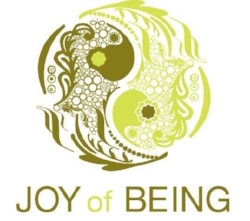 At Joy of Being, each massage and bodywork session is unique. Jane Sanguinetti listens closely to match her style to your needs. Please schedule in advance to hold your appointment times. Payment is due if session is cancelled within 24 hours of appointment time. This is a gentle and profound treatment that involves connecting and working with the cranio sacral rhythm of the body to bring about balance, vitality, deep relaxation and release of blockages, emotions and tightly held tension in the body. The rhythm extends and can be felt throughout the body, though most of the work takes place at the sacrum and hips, throughout the spine, and especially at the chest, neck and skull area. Work on the head and neck create a feeling of openness, expansion and clearing. The most unique attribute of this work is its ability to address and heal what is known as cellular memory, the various effects of physical or emotional trauma stored in the body. For some people there is an over identification with the mind and its stories. Long strokes down the body are used with the application of oil and aromatherapy with some light pressure, kneading, and circular movements on superficial layers of muscles. This is gentle and relaxing. This type of massage targets deeper layers of muscle and connective tissue. Slower and deeper strokes and friction techniques are used across the grain of muscles. Clients who are chronically in pain, have repetitive strain, have postural problems, are recovering from injury, have limited mobility, and suffer from arthritis, muscle spasms and large amounts of stress will benefit greatly from regular deep tissue massage. It works by breaking down adhesions formed by rigid tissue in muscles, tendons, and ligaments. Care is given to assist women in finding joy and ease in their bodies and in their new role as mother. The focus of is to help clients create a strong connection with their baby while creating a nurturing, fertile, peaceful and positive environment in which mom and baby can thrive in. Increases circulation of blood and chi which reduces and prevents swollen limbs, varicose veins and leg cramps. Releases endorphins, the body's natural pain killer, while relieving sore muscles. The whole back, ribcage and hips tend to be sore as the muscles stretch beyond their regular limits, taking on most of the weight of the baby. Reduces and prevents sciatica caused by pressure from the baby on the sciatic nerve. Reduces and prevents stretch marks by improving elasticity of skin. Brings nutrients to cells and releases toxins and emotions from tissues and cells in the body. Reduces and prevents headaches and neck pain caused by an increased heart rate and blood volume. Massage soothes the nerves of the brain and balances the hemispheres, causing blood pressure to drop and heart rate to slow down. Reduces fatigue, stress and insomnia relaxing both baby and mom and creates a balanced and peaceful mind.